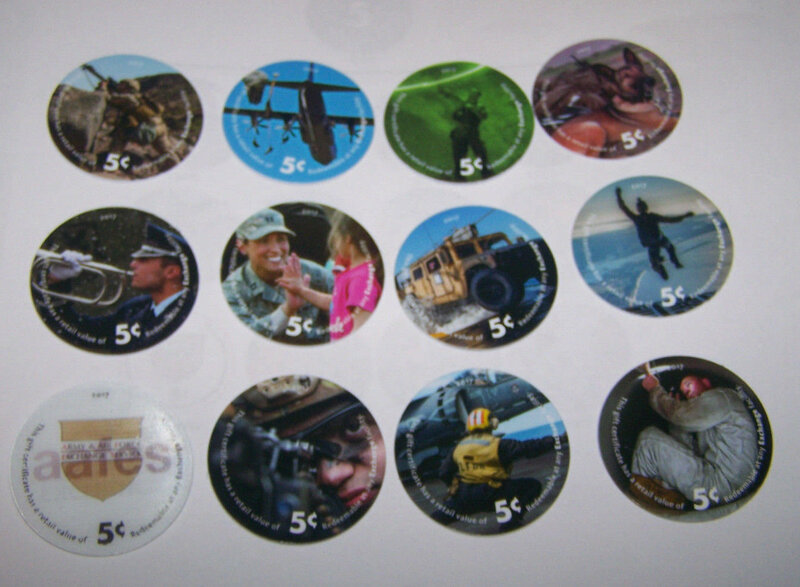 Selling off some AAFES Pogs to fund other purchases. I will try to keep prices competitive, usually Ebay or less. Sometimes a POG does command a premium. If you are interested in a POG and don't like the price, pm with an offer. All POGS will be shipped on my dime. Paypal F/F preferred or if G/S selected, please add 3% to sale. Here we go. 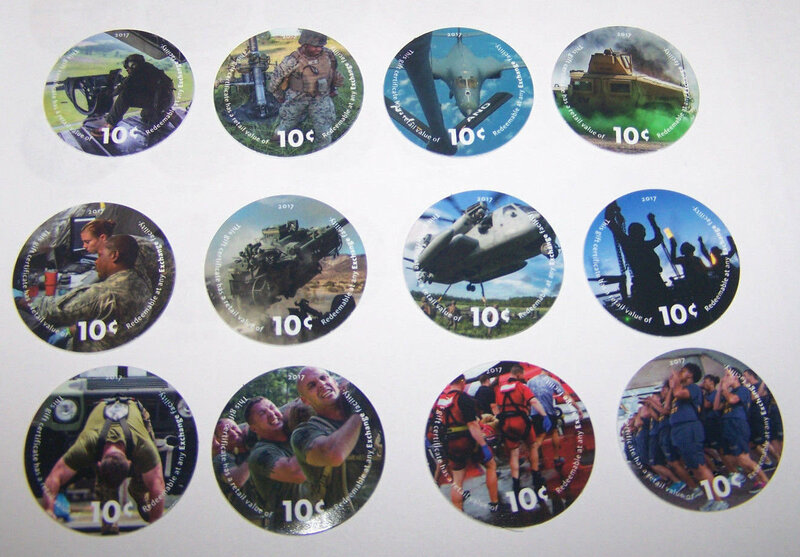 The need for POGs was created by the lack of change in Operation Enduring Freedom. Pogs are lighter than coins which does decrease shipping weight as previously mentioned but there were other reasons as well. By having the military ship coins it would require tasking soldiers to perform the mission and put them at risk. 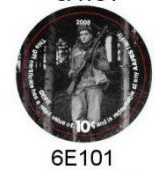 AAFES felt the coins were not worth putting soldiers at risk if an alternative could be found. How rare is rare in the POG world? 5. Three Printings Have no Nickels >> 8th,12th, and 13th. FOR Sale or Trade>> I have 2469 nickels .... 2386 dimes ... 2659 Quarters ... PM me with your needs and lets get those sets complete ! !